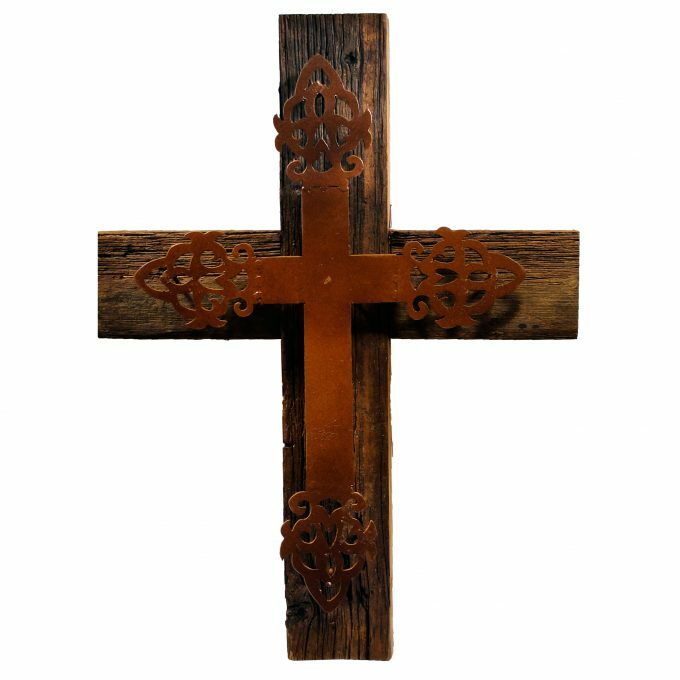 Rustic style cross, unique hand craft from El Callejon Art. Made with old wood and iron plate. Rustic style cross, unique hand craft from El Callejon Art. Made with old wood and iron plate. Beautiful rustic finished ideal to decorate hacienda mision or rustic syle.